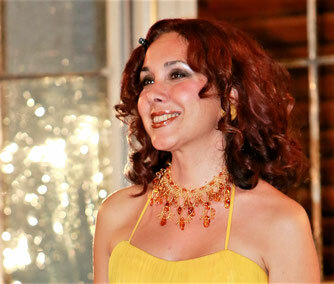 Eteri Lamoris is an operatic soprano, producer and voice teacher. Spanish citizen, she initially studied with her mother Lamara Chkonia in Georgia and later in High Vocal School of Madrid, also attending the lectures of Renata Scotto and Ruthilda Boesch in Vienna. Lamoris made her operatic debut as Desdemona in “Otello” and she made her international debut as Musetta in Franco Zeffirelli’s La SCALA production of La Boheme and went on to perform leading roles in both European and North American opera houses. Distinguishes by the mastery technique and high-range timbre. She sang together with Luciano Pavarotti, Placido Domingo, Jose Carreras, Roberto Alagna, Ramon Vargas, Jose Cura, Angelika Kirchshlager, Elina Garancha, Denis Graves, and best conductors of the world. On March 10th, 2012 Eteri Lamoris was presented by Princess of Sweden Christina Magnusson with the INTERNATIONAL ROYAL AWARD, SWEDISH CULTURE GOLD-ORDER “GREATEST SINGER OF OUR TIME”. The event took place at the ROYAL PALACE OF STOCKHOLM. Eteri Lamoris is laureate in nine International competitions, in five of which she was awarded the first prize. Eteri Lamoris was recognized by the press as the “Violetta of 21st century” for her performances in Verdi’s La Traviata and one of the best performers of Donizetti’s Lucia di Lammermoor’s title role. The Spanish critics regard her as a “Genuine pearl of the opera world”. Eteri Lamoris gives recital and gala concerts with master classes in different countries (Austria, Portugal, Spain, France, China, Hong Kong, Ukraine). Since 2012 she is director of the Festival and International Competition “Accademia Belcanto” in Graz (Austria) where she sings in charity concerts with Ildiko Raimondi, Angelika Kirchschlager and collaborates with Natela Nicoli, Christa Ludwig, Jaime Aragall, Teresa Berganza at the master classes. Eteri Lamoris has an extensive discography of opera arias, chamber and contemporary classical music. Her records sold in many European countries and USA. 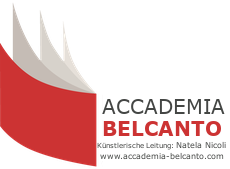 All active participants of the masterclasses of the Accademia Belcanto Festival may take part in all masterclasses (Christa Ludwig, Eteri Lamoris, Angelika Kirchschlager, Natela Nicoli, Giacomo Aragall) as passive listeners. This year, Eteri Lamoris will pass on her knowledge to the participants as part of the Coaching-masterclass-week.